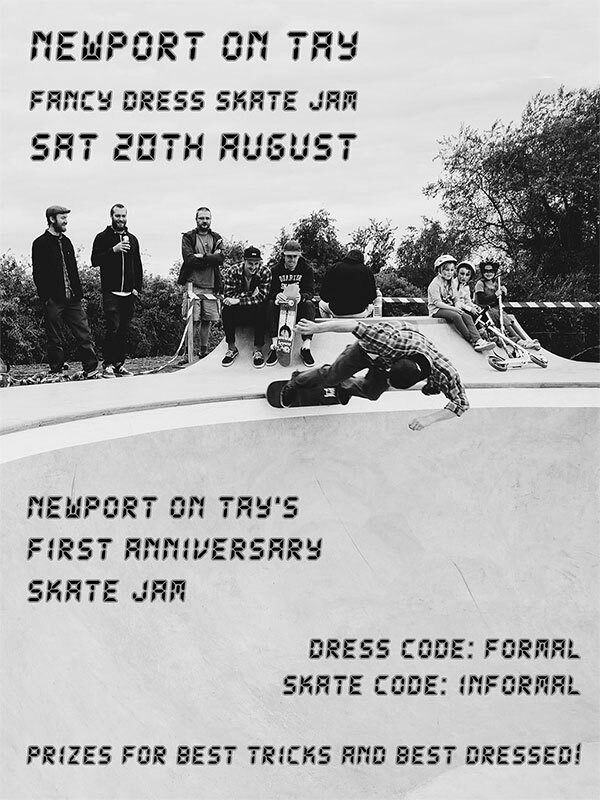 The first ever Newport skatepark Jam will be on Saturday 20th August at Newport Skatepark, just across the water from Dundee next to Waterstone Crook sports centre. Get your best suit / kilt / giant chicken costume looked out for our Fancy Dress Fun Day on the 20th of August from 13:00. Prizes (including cake) for best costume and best trick. We’re going to be keeping this low key so no entry lists, no PA, just good fun.